Regaining your range of motion during ACL rehab is a major goal. It is often one of the very first things that your clinician will focus on, along with reducing pain and swelling. These three things are intimately tied together, and as each gets better, it helps to improve the others. Pain, swelling, and the surgery itself all cause a loss of motion. With a painful and swollen knee, range of motion is limited. This is especially true for knee flexion. You can only bend your knee so far before it starts to hurt, and it feels like it will explode. Knee extension is often limited by these factors as well as the inhibition of the quadriceps muscles. Because the quads are not firing, you lack the strength and control to extend your knee actively. Your ACL rehab will consist of exercises to improve your range of motion. The clinician who directs your rehab will provide you with exercises that will help with this. One very common exercise to improve knee flexion is a heel slide. It may also be called a towel pull. 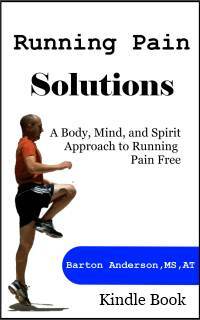 It is a passive range of motion activity that helps to increase flexion. To perform a heel slide, you place a towel under your heel, grasping both ends with your hands. Relax your leg and pull the towel and your heel towards you, sliding your heel on the floor. As you flex your knee, you will feel tightness and some discomfort. Unfortunately, this is necessary. If you do not push your knee into ranges that cause some discomfort, you will not make gains in your range of motion. So in this case, no pain, no gain. Just don't overdo it. A little discomfort and tightness is ok.
Another way your clinician may increase your flexion range of motion during ACL rehab is to have you lay on your back with your foot up on the wall, and let your foot slide down as your knee bends. This exercise uses gravity to increase your motion, and allows your quadriceps to relax. After surgery, you should have full passive extension. Meaning your knee should straighten all the way out whe you relax your leg. 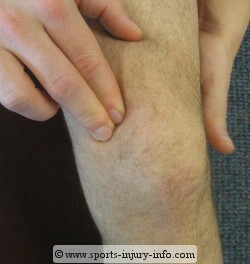 You need to maintain this knee extension after surgery. 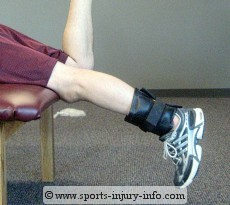 It is one of the main goals during the first week of ACL rehab. Even with full passive knee extension, you won't be able to straighten it all the way out actively. This is because of the quadriceps weakness. One way to improve quad function during ACL rehab is to use electrical muscle stimulation. This involves placing electrode pads on the quads, and then using a current to force the quads to contract. You also actively contract while the machine is on, and this improves your muscle control. E-stim, as it is called, is not comfortable, and sometimes feels like a muscle cramp. You may also have pain around the incision when you contract the quads. This is normal. I like to use E-stim in conjunction with active ACL exercises. I have patients stand, place some weight on their injured leg, and then actively straighten it out while the machine is on. Your clinician may have you do many different types of exercises to improve your extension. If you have lost passive extension, your clinician may have you perform prone hangs, or some other type of exercise to stretch the knee. This is done by laying on your stomach and hanging your lower legs off of the table, letting the knee straighten out. This is not a comfortable exercise, and you should try to maintain your knee motion after surgery to avoid having to do it! Trust me, it isn't fun. Movement of the patella is essential when restoring range of motion during ACL rehab. If the patella cannot move within the femoral groove, then the knee cannot bend and extend. You can work on improving your patellar mobility after acl reconstruction by simply pushing your patella side to side and up and down. It won't feel good, but it will help. Compare how much your knee cap moves on your uninjured leg with your injured leg. You should work to get them moving evenly. Because of the surgery and all of the healing that is taking place in the knee, the patella has a tendency to get "stuck". All of the surrounding tissues start to stick together, and this prevents the normal gliding of the patella. Performing self patella mobilizations will help prevent this. The anterior knee is very susceptible to adhesions and buildup of fluid and scar tissue. This will limit motion both in flexion and extension. One way to combat this is with friction massage. Think about the tissue in the front of the knee as hundreds of layers. Each layer is independent of the others, and must be able to easily glide and slide over the other layers. After surgery, the layers will start to sick together, and they can no longer slide over each other. By applying friction massage to the area, you break up these adhesions, and allow the tissues to slide past each other during knee motion. It is just one more thing that doesn't feel very good, but helps tremendously. Improving range of motion during ACL rehab is a major goal, especially in the first few weeks. You can help speed the process along by working on your motion at home. 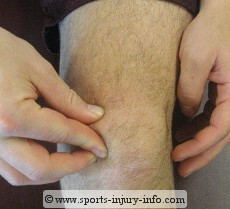 Make sure that your clinician address scar formation in the front of the knee, as well as patellar mobility.